April 5, 2019 in letter to the Editor. This Sunday is World Health Day – a time to raise awareness about health inequalities across the globe, and right here in Queensland. Celebrated every year on April 7, World Health Day is an initiative driven by the World Health Organisation. This year the theme is Health for all – everyone, everywhere. 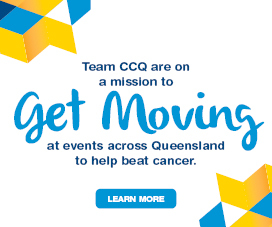 Ensuring that everyone has access to health services no matter where they live, or what their economic status is, is a key part of our mission at Cancer Council Queensland. Research has shown that those living rurally or remotely, and in disadvantaged communities, are more likely to be diagnosed with the disease – a trend that will continue unless we take greater action to raise individual and community awareness. Improving access to cancer treatment and specialised services, along with promoting healthy lifestyles, and encouraging greater awareness and participation in government screening programs is vital in helping to close the gap in survival outcomes. This World Health Day we renew our commitment to investing in research and programs that will ensure that everyone, everywhere can access adequate health services – without the financial stress. 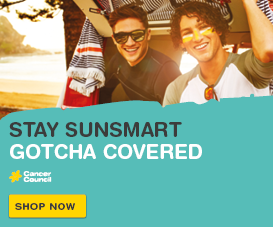 Cancer Council Queensland offers a range of practical support services to reduce the burden of cancer, including accommodation for regional patients travelling for treatment. 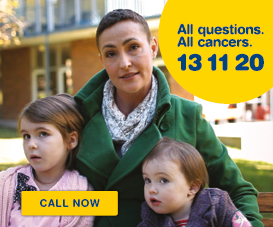 If you have been diagnosed with cancer and need support or you would like to learn more about our services, please call Cancer Council’s 13 11 20 (Monday – Friday, 9am – 5pm, excluding public holidays) to speak with a member of our Cancer Support and Information team. For more information on our support services, members of the general public can call 1300 65 65 85.